2018 Hyundai Elantra - What's New? Plenty! The best-selling Elantra returns to our Arlington car dealership with two new models to boast, an all-new GT and GT Sport, both of which are hatchbacks. These brand-new additions come with plenty to appreciate, including impressive cargo capacity and a new turbocharger. Following its complete redesign in 2017, the new Elantra sedan remains unchanged, as noted by 2018 Hyundai Elantra reviews. For style, high-end amenities and exciting driving dynamics, look no further than the brand-new Elantra, which is on sale now at Vandergriff Hyundai. The 2018 Hyundai Elantra in Arlington is available in SE, Eco, Limited and Sport trims, along with two body styles - sedan and hatchback. The entry-level SE comes with an easy-to-use touchscreen display, height adjustable front seats for perfect positioning, full power accessories and a 60/40-split folding rear seatback. SE models equipped with the Popular Equipment package add a slew of desirable features, including heated mirrors, automatic headlights, Bluetooth, and smartphone integration with Apple CarPlay and Android Auto. Splurging on the Limited Tech package will add even more features: heated rear seats, a sunroof, navigation, an 8-inch touchscreen and an eight-speaker sound system. 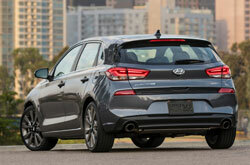 2018 Hyundai Elantra reviews praise the car's ability to offer a variety of engine choices. For starters, there's a new 2.0-liter four-cylinder that moves the GT hatchback forward. It can generate up to 162 horses and 150 pound-feet of torque. Next in line is a 1.6-liter turbo that can be found underneath the hoods of the GT Sport hatchback and Sport sedan. Delivering 201 horses and 195 pound-feet of torque, the engine makes for an exhilarating driving experience. It can be paired to either a six-speed manual or seven-speed dual-clutch transmission. SE models are moved by a 147-horsepower 2-liter turbo, while Eco trims utilize a 1.4-liter turbocharger that generates up to 128 ponies. 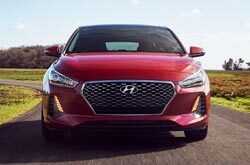 Drivers who want top-notch safety systems will find them in the 2018 Hyundai Elantra in Arlington. 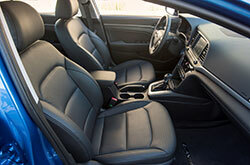 They include front seat side airbags, a driver knee airbag, side curtain airbags, antilock brakes, and stability and traction control. Driver-assist technologies like forward collision warning and mitigation, adaptive cruise control, and lane departure warning and intervention can be had on the Limited Ultimate package. Why Take Home the Hyundai Elantra? 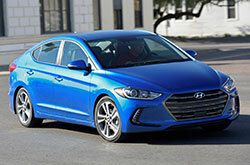 If you've been shopping for new vehicle models near Dallas like the 2018 Toyota Corolla, Nissan Sentra, Ford Focus, Honda Civic and the Chevrolet Cruze, then you should not hesitate to take a look at the 2018 Hyundai Elantra. 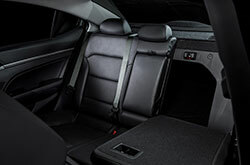 You could end up fancying its five-star cabin amenities and eye-catching styling among other aspects. Use our review and test out the third-party comparison tool to see if the 2018 Hyundai Elantra is right for your particular needs; and after, check out finance incentives available at Vandergriff Hyundai. 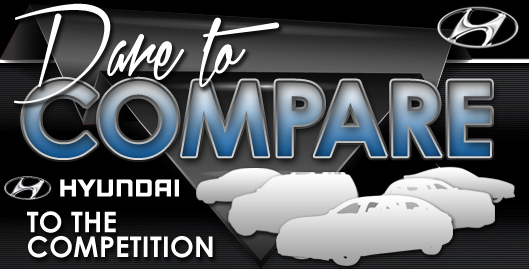 Shopping for a Hyundai Elantra and looking for great manufacturer incentives? If so, visit us straightaway! Our thorough review makes it less complicated for you to get the information you need, and we hope it is beneficial when it comes to making a final vehicle purchase. We have a massive stockpile of excellent Hyundai Elantra models in Arlington, TX - drive one today. Are you anxious to see it prior to your visit? Check out the included video to view its full design.